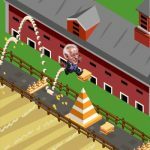 Things have changed in the run-up to the U.S. presidential elections since Pocket Politics was made and released, but this idle Android and iOS game from Kongregate does offer a humorous look at the movers and shakers of the Democratic and Republican parties, including fictionalized versions of Barack Obama, Democrats Hillary Clinton and Bernie Sanders, and Republican Donald Trump. According to Kongregate, the game lets you raise money for your political campaigns, and while lobbies will be the main way for you to raise that money, they won’t be enough. You’ll also have to recruit staffers, gain endorsements from politicians for more bonuses, and do your fair share of tapping, as you try to rise from “lowly” campaign volunteer, all the way to holding the highest office in the land, which is, of course, the Office of the President. Now, it takes a whole lot of things for someone to become a presidential candidate in the real world. But in this in-game world, how do you become president, and how do you win those elections? 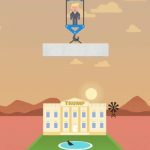 Read on, and check out our list of Pocket Politics tips and tricks, as we show you how to rise up the ranks and tap (or idle) your way to the presidency. Although you shouldn’t rely on lobbies alone, these remain the primary way for you to earn money in the game, especially during those all-important idle moments when you aren’t playing the game. Basically, what you want to do here is to balance your priorities; should you unlock new lobbies, or should you level up the ones you currently have? We’ll tell you in the next tip. As a general rule, it’s best to try to unlock as many lobbies as possible, while temporarily disregarding lobbies that are presently too hard for you to upgrade due to all the time involved. Those will pay off for you in the end, so you’ll want to go back to them at some point in the game. But in the meantime, you can consider ranking up the lobbies that are much easier to rank up, and expect similar results at the very least. Ranking up, as a reminder, will reduce the time it would take for the lobbies to be ready, which means more money in less time. You want to rank those lobbies up as soon as possible, so work toward doing this by focusing on the easy ones, then on the harder ones. 3. What’s The Deal With The Candidates? Your choice of candidate really wouldn’t be that important, unless you’re going to be spending a good part of the game tapping on your screen. Still, you’ll need that candidate to make progress, requiring you to check on their screen from time to time to allow the elections to kick off once you’ve got enough money. 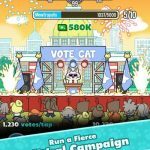 Tapping appears to be effective in increasing election-related collections faster, so even if this is an idle, or semi-idle game, you’ll still want to tap whenever you’ve got the time to do so. As of the moment, Kongregate has yet to kill the time lapse cheat, so you can use it in order to collect your money almost immediately. This cheat would require you to go to your phone’s settings, set your time ahead by a few hours (or several hours), then return to the game. We would recommend setting your time ahead by at least four hours for best results. Once you return to the game, you can collect the money that would have accumulated between the original time and the time you lapsed to, and keep repeating this trick as often as you want. 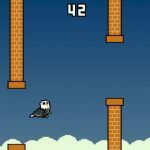 Keep in mind, though, that there’s always a chance this cheat may be killed off in future updates! When talking about upgrades in Pocket Politics, they can definitely make it easier for you to earn money. Buy those upgrades as soon as they’re unlocked and you’re able to afford them; they’ll be worth the purchase at the end of the day, even with those small starting bonuses. It may be a good idea to buy the flat sum tap bonus before anything else, then move on to the percentage increase. That would allow you to earn more from the second bonus, and give you a good value on your in-game purchase. As a general rule, buy upgrades in the order in which they are unlocked. That’s it for now, as far as our Pocket Politics tips, tricks and cheats are concerned. Do you know other hints for the game that we haven’t mentioned in the guide? Let us know in the comment section below! I believe they killed the time lapse cheat.